1. Pivot_ESAZ_Day for DAILY Pivot calculation. 2. Pivot_ESAZ_Week for WEEKLY Pivot calculation. 3. 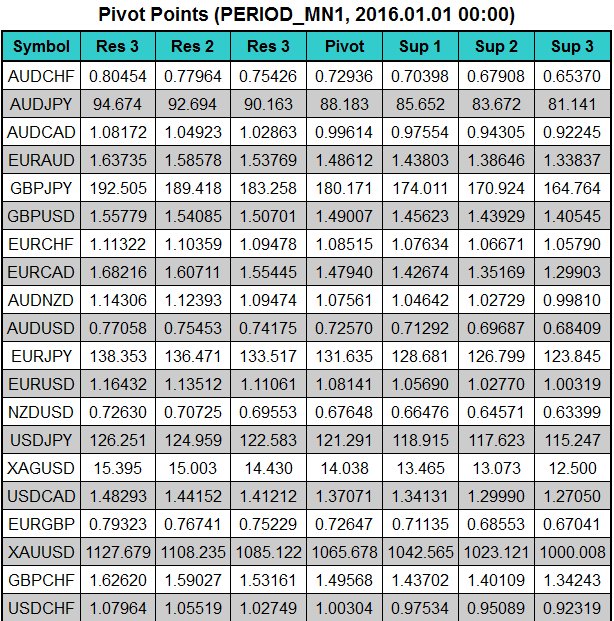 Pivot_ESAZ_Monthly for MONTHLY Pivot calculation. If you want to change the colors, go to the line of code 200 and below (to comment "Calculate Levels") and edit colors. To get the correct names of the color name, place the cursor on the name of the color (for example, the word "Orange") and press F1. LocalTimeZone - the time zone in which the MetaTrader 4 shows your local time, for example, 1 or 2 for Europe (GMT + 1 and daylight saving time GMT + 2). The default value is zero. MetaQuotes demo server uses GMT + 2. DestTimeZone - time zone of the trading session, which will be carried out by calculation of levels, for example, 1 or 2 for the European session (normal / summer). Are GMT corresponds to a value of zero. If your server is in MetaTrader zone EST (Eastern Standard Time, GMT-5), and you want to calculate the levels for the London trading session (GMT + 1), enter a value of -5 for LocalTimeZone and 1 for DestTimeZone. Keep in mind that the parameter LocalTimeZone determined by the time on your charts MetaTrader (for example, demo server MetaQuotes is always located in the area of ​​CDT (+2) or the CET (+1)), but not the testimony of your watch. If in doubt, leave the value is zero. Last edited by Tsar; 07-19-2015 at 09:09 AM. 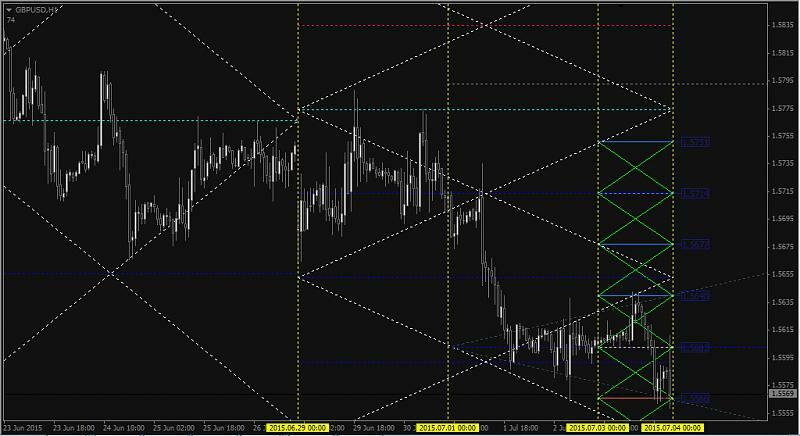 Custom Fibo Pivot based Daily calculation. 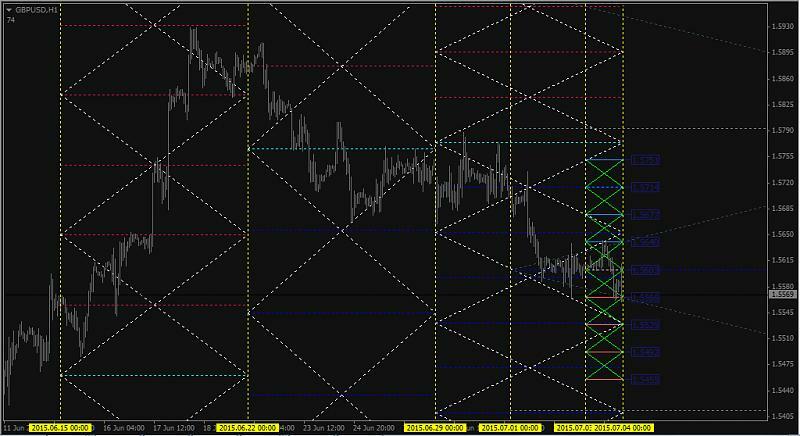 Can changes the value of % Fibo in Support & Resistance. 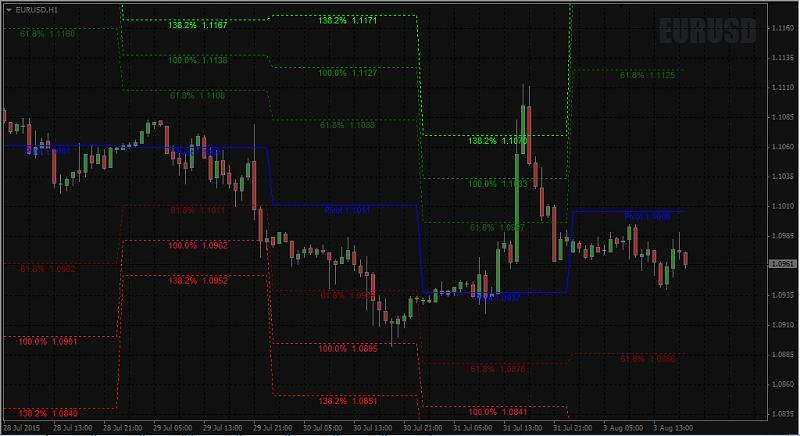 - DecisionBar Strategy v4.6 indicator is on this post. - DB FX RiskOscillator indicator is on this post. - AllPivots_v4.1 600+ indicator is on this post. This is updated AllPivots indicator with ability to plot the D.O.T.S. Levels by D.Malone. This version works with Metatrader 4 build 600 and above. Template to build the so-called Jackson Zones is here. - AllPivots_v4.2 600+ indicator is on this post. 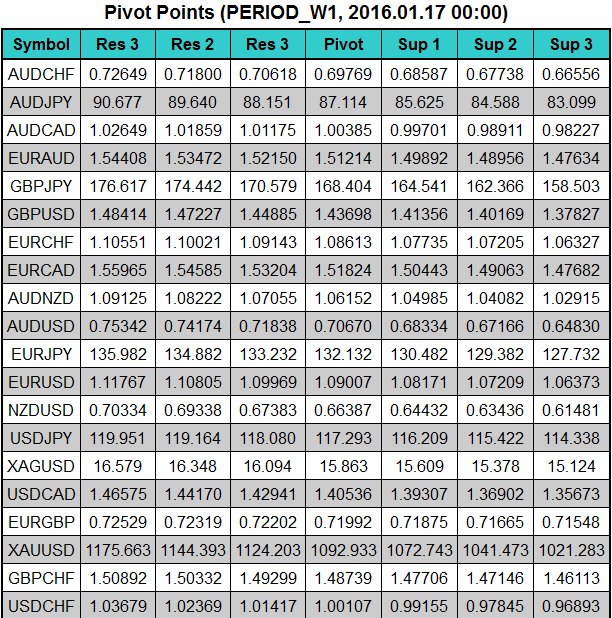 This is the latest/fixed AllPivots indicator This version works with Metatrader 4 build 600 and above. AllPivots_v4.5 600+ indicator is on this post. This is the fixed and updated AllPivots indicator which now can be used in EAs and other indicators (eg. dashboards). SDK Pivots thread is this one (just to remind). 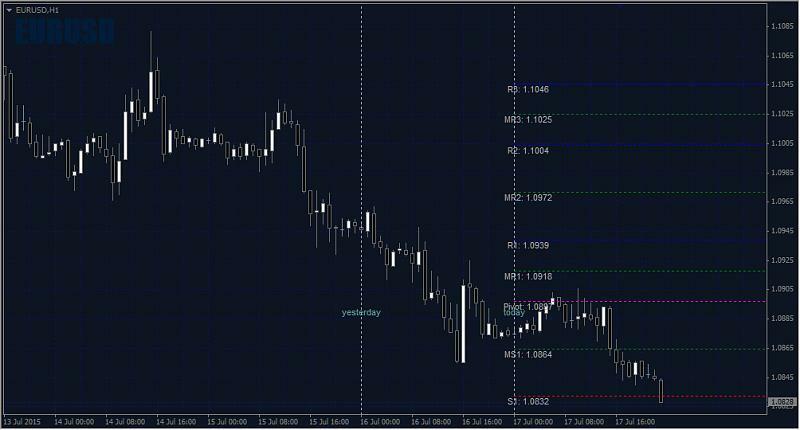 This is modify Camarilla Pivot indicator.